A photo posted by Pacific Muay Thai (@pacificmuaythai) on Jul 28, 2016 at 5:28pm PDT A new White Center business is having its grand opening this afternoon. Pacific ... Read more.. In case you missed this in regional media - the Quick Stop Food Mart in Top Hat sold a winning Mega Millions ticket. The winner claimed their $25 million prize ... Read more.. When Company Bar closed in downtown White Center earlier this year, its owner voiced hopes that it would be bought and reopened. That's exactly what's happening. 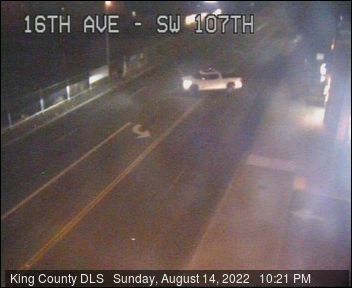 We heard overnight from ... Read more..
We received some questions about an hours-long King County Sheriff's Office presence near 1st Avenue S. and 104th in Top Hat last night. By the time we were finally able ... Read more.. Spoke & Food: Bicycle to participant Proletariat Pizza tonight! Tuesday, July 26th, 2016 Posted in Food, How to Help, Transportation, White Center news | Comments Off on Spoke & Food: Bicycle to participant Proletariat Pizza tonight! The annual Spoke & Food bicycle-to-dinner benefit is tonight - and Proletariat Pizza in White Center (9622 16th SW) is participating. 5-9 pm, Proletariat and other participants around the region ... Read more..
Just out of the WCN inbox: WHAT: The Metropolitan King County Council will hear public testimony and possibly act on legislation impacting zoning for the production, processing, and sale of legal ... Read more.. The Boys and Girls Clubs wanted us to let you know that they've heard door-to-door solicitors are out in White Center claiming to represent their organization - but that's a ... Read more..
7:15 PM: We're in Newcastle, at Bellevue Fire Station #9, where King County's Boundary Review Board is in its regular meeting - exactly one month after the conclusion of its ... Read more..
That's a minute of the 20-minute fireworks show that delighted Jubilee Days-goers in Steve Cox Memorial Park tonight. It was also opening night for the carnival at the park: Carnival's on ... Read more.. When the King County Boundary Review Board's two-day hearing wrapped up last month, the BRB had one more step to take for its final decision on potential Seattle annexation of ... Read more.. The White Center Jubilee Days festival kicks off Wednesday (July 13th). That's the first night of the carnival at Steve Cox Memorial Park (scheduled to open at 3 pm Wednesday), ... Read more.. Thanks for the tips - the King County Sheriff's Office helicopter Guardian One was over White Center for a little while tonight, almost exactly 24 hours after last night's visit. ... Read more.. Thanks for the text about a helicopter over White Center. Since media helicopters are almost always off on weekends, we figured it had to be Guardian One, and headed over. ... Read more..
Just in from Tony Vo at White Center Community Development Association: Our 6th annual White Center Promise Celebration will be held on Friday, August 5th from 4:00 PM until 7:00 PM ... Read more..
From King County Sheriff's Office spokesperson Sgt. Cindi West: Last night around 1130 pm King County Sheriff’s deputies responded to a report of two women shot near S. 112th St. and ... Read more..
King County Parks and the White Center Community Development Association invite you to mark your calendar for this: That's the trailer for "El Gallo Con Muchos Huevos," which will be onscreen ... Read more..